Your bathroom may not be the first place you think of when you think of remodeling your home or even sprucing up your space. However, the bathroom, particularly the master bathroom, is likely an area where you spend a lot of time in the morning and evening, even if you don’t realize it. While you can’t always transform your bathroom overnight if it needs a lot of work, there are some things you can do to turn a dull bathroom spectacular. Use this guide to help you do exactly that. Put a new coat of paint on the walls. 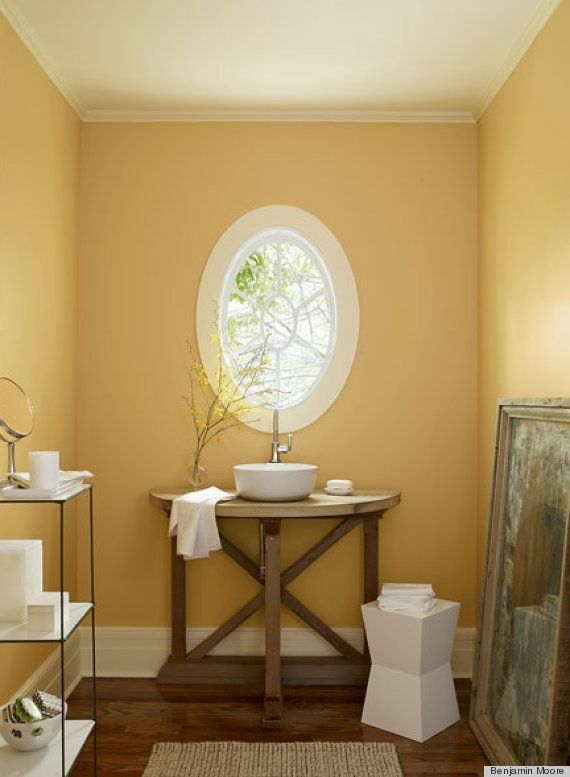 It might seem obvious, but many homeowners just don’t think about painting their bathrooms as often as they should. After all, the bathroom paint gets a fair amount of abuse because of the hot water and steam that accumulates in the room. For a small bathroom, stick to lighter colors. They’ll help a small space feel a bit more open. 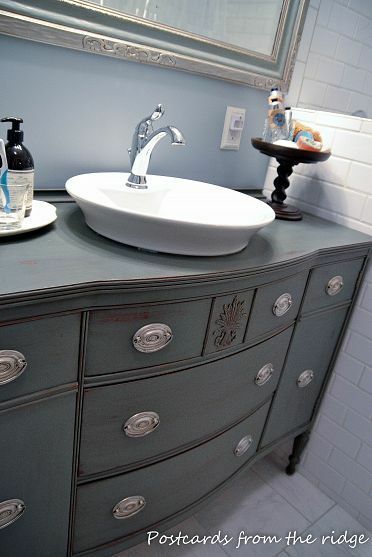 Consider painting an old vanity or replacing the top with a more interesting material like natural stone. Tops can be cut to size and put in place, even if you have an existing vanity. 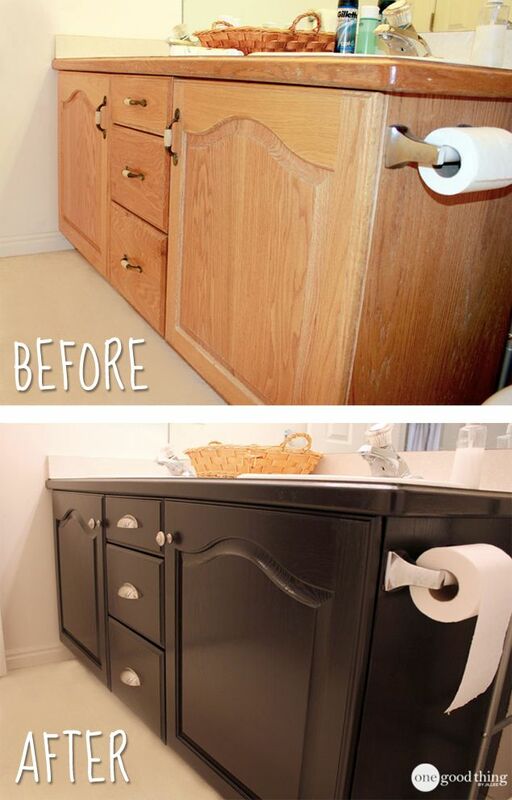 If your vanity is beyond saving, replacing it might be a better option. You can save money on a vanity by ordering it unfinished and customizing the finish yourself. See our post for personalizing your vanities. An old, tired looking sink fixture isn’t going to make your bathroom look its best, especially if you have a more modern home. Vessel sinks add interest, helping to make the vanity the focal point. We have artisan made concrete vessels that can be made as sinks on PDB Homestore. This is no ordinary concrete; our Coulter Designs collection is made with lightweight, high quality, sealed concrete with an acid stained finish for a custom look. Instead of basic white, try a sink fixture made of a unique material like glass, tile or stone. You can find these specialty sinks all over, and while they tend to cost a bit more than your standard sink, they can really make a difference when it comes to how your bathroom looks. 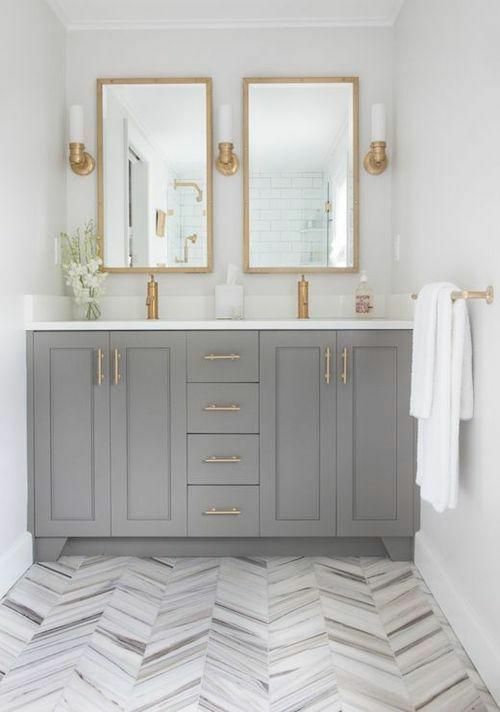 Matching hardware can give your bathroom a better overall look and breathe new life into the space, even if you go for antique pulls. For a more modern look, choose something like polished silver, glass or a painted mosaic tile. Perhaps something to match the finish of your new sconces? Perhaps something eye catching and unique like gemstone hardware? I carry these on PDB Homestore because they are also artisan made and I think they add a unique touch to your space. This is a great way to spruce up any boring vanity; Myterra even makes shower door knobs to match your vanity hardware. If you need something that works better in an eclectic home, you might do well with a flat silver or bronze. These tend to work well in transitional homes that have a bit of modern and traditional style mixed together. There’s more bathroom inspiration this way! Check out our post on Bathroom Design Trends for Spring. Pretty much dealing with the 2nd pic’s scenario right now. It’s not the time to remodel but so far painting my bath cabinets has made everything feel so much lighter. Now to tackle some hardware and fixtures!! Right? It’s amazing what a little paint does! I really like the idea of remodeling the bathroom. In fact, the bathroom would be my starting point if we owned our current dwelling. The bathroom has always been a favorite place to chill out & pamper oneself and when that space is no longer available it can ruin your “me time”! With all the different paint colors, fixtures, and hardware available just the littlest change could make such an impact on the viewer’s eye. I love the difference in the cabinet makeover (pictured above). I can’t get enough of the refurbished dresser in the bath subbing as the counter. Who would have thought? Especially with everyone taking used furniture and refurbishing now a days. Definitely going to have to check out the concrete vessels and hardware on the PDBHomestore.com. I am in the process of making my vision board and picking out what I want in the house hubby will be buying me. 🙂 Thanks for the post….I look forward to your next one! Thank Faira. I am so glad we can help you with your vision board. Good luck with your new home! Having just remodeled two bathrooms, I can see how I could have taken it up a notch. Thank you for the visionary guidance!! Thanks Bill for your comment. 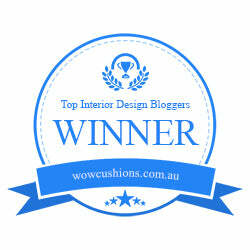 I hope we will continue to inspire you! Amazing how a few little changes can make a big difference.